What Masked Gorilla is all about - Unmasking The Gorilla: Inside Roger Gengo’s Journey From Underground Blogger to Hip-Hop Entrepreneur | Genius- How To Succeed At Independent Show Promotion: A Conversation With The Masked Gorilla | Forbes- Hip-Hop’s Punk Moment Has Arrived | The New York Times- Remembering Lil Peep | The New York Times Imagine being able to know about Jay Z before he released his debut album Reasonable Doubt, before he ever graced a single television screen or magazine cover. You could follow him from the very start of his career, personally feeling connected to his rise. You could share his music with your friends, converting them to fans of this rapper they never heard of. Then you could all catch this Jay Z guy for 20 bucks at a local venue, probably opening up for some big name rapper. Chances are when Jay Z released Reasonable Doubt, you weren't even born yet, or were far too young to follow him or any of the other rappers of that era from the start. That's where The Masked Gorilla comes in. Since 2009 we have been extensively covering the new generation of rappers, opening up the genre to a whole new generation of fans. Focusing on the-then new wave of artists like Cool Kids and Mac Miller, Masked Gorilla racked up millions of views—featuring rare early interviews with Mac Miller, Kendrick Lamar, Joey Bada$$, Freddie Gibbs, Denzel Curry, Vic Mensa and Big Sean. Masked Gorilla has published over 20,000 posts over the past 7 years focusing on these emerging rappers, continuing to be the first publication to discover new emerging artists such as Lil Yachty, Lil Peep, Bones, $uicideboy$, Pouya and many more. Starting in 2014, Masked Gorilla launched the UNMASKED Concert Series. Initially thrown in a warehouse, the very first show featured Tyler, the Creator, Domo Genesis, Bones, and Xavier Wulf. Later that summer, Masked Gorilla hosted Vince Staples’ first headlining set. 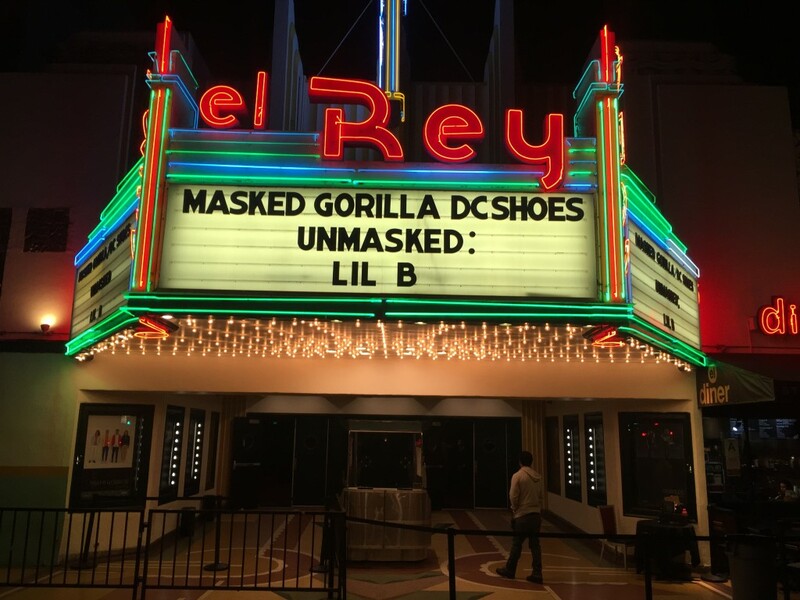 Eventually, UNMASKED moved to reputable local venues, The Troubadour, The Echoplex, and The Roxy featuring sold out headlining shows from Yung Lean, Denzel Curry, Chris Travis, Robb Bank$, Pouya, Fat Nick, Lil B The Based God, $uicideboy$, and appearances from Playboi Carti, Madeintyo, Lil Peep and many more over the past 3 years. ---Masked Gorilla is a website frequented by hundreds-of-thousands of unique tastemakers a month, specifically in the coveted 18-25 age demographic. By advertising on Masked Gorilla you will be attracting a dedicated, young, and influential audience to your brand.If your brand is interested in advertising on Masked Gorilla, or establishing a business partnership of any kind, please email "sales[at]TheMaskedGorilla.com" for more information. Any music submissions will not be viewed and your email address will be blocked. Imagine being able to know about Jay Z before he released his debut album Reasonable Doubt, before he ever graced a single television screen or magazine cover. You could follow him from the very start of his career, personally feeling connected to his rise. You could share his music with your friends, converting them to fans of this rapper they never heard of. Then you could all catch this Jay Z guy for 20 bucks at a local venue, probably opening up for some big name rapper. Chances are when Jay Z released Reasonable Doubt, you weren’t even born yet, or were far too young to follow him or any of the other rappers of that era from the start. That’s where The Masked Gorilla comes in. Since 2009 we have been extensively covering the new generation of rappers, opening up the genre to a whole new generation of fans. 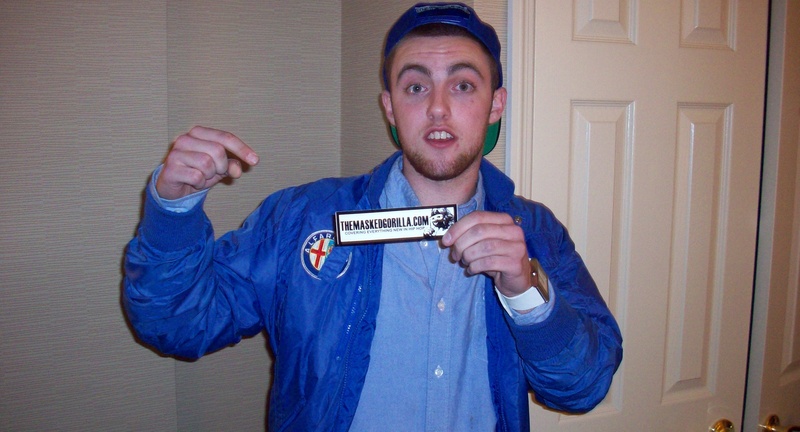 Focusing on the-then new wave of artists like Cool Kids and Mac Miller, Masked Gorilla racked up millions of views—featuring rare early interviews with Mac Miller, Kendrick Lamar, Joey Bada$$, Freddie Gibbs, Denzel Curry, Vic Mensa and Big Sean. Masked Gorilla has published over 20,000 posts over the past 7 years focusing on these emerging rappers, continuing to be the first publication to discover new emerging artists such as Lil Yachty, Lil Peep, Bones, $uicideboy$, Pouya and many more. Starting in 2014, Masked Gorilla launched the UNMASKED Concert Series. Initially thrown in a warehouse, the very first show featured Tyler, the Creator, Domo Genesis, Bones, and Xavier Wulf. Later that summer, Masked Gorilla hosted Vince Staples’ first headlining set. Eventually, UNMASKED moved to reputable local venues, The Troubadour, The Echoplex, and The Roxy featuring sold out headlining shows from Yung Lean, Denzel Curry, Chris Travis, Robb Bank$, Pouya, Fat Nick, Lil B The Based God, $uicideboy$, and appearances from Playboi Carti, Madeintyo, Lil Peep and many more over the past 3 years. Masked Gorilla is a website frequented by hundreds-of-thousands of unique tastemakers a month, specifically in the coveted 18-25 age demographic. By advertising on Masked Gorilla you will be attracting a dedicated, young, and influential audience to your brand. If your brand is interested in advertising on Masked Gorilla, or establishing a business partnership of any kind, please email “sales[at]TheMaskedGorilla.com” for more information. Any music submissions will not be viewed and your email address will be blocked.